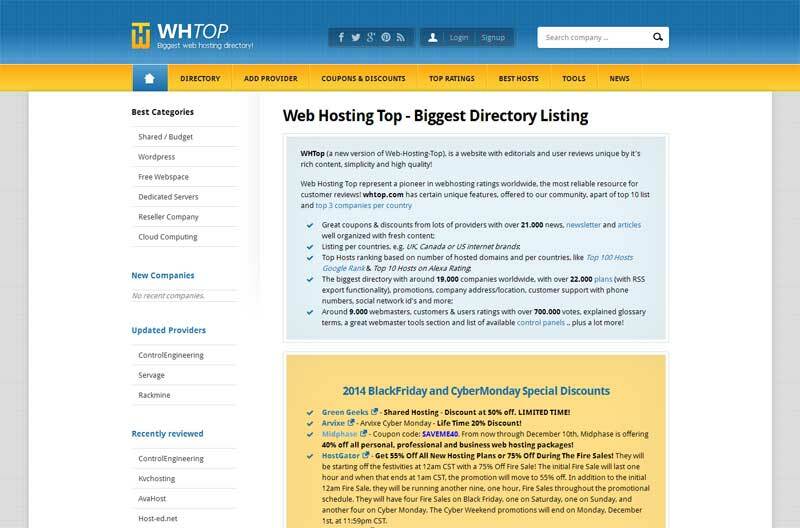 After over 10 years of providing great details and reviews of webhosting companies, web-hosting-top.com has been fully redesigned. New website, WHTOP.COM is going to provide much better services and a new API for hosting brands. Finally new version of web-hosting-top.com is up & running. WHTOP.COM is taking the current community, to the next level of great services. We included in this big change most important features request from our community. There are several new features ready, but you can still suggest us any new ideas. Thank you to all of our members for being with us from such a long time.